Similarly, thousands of third-party apps have given smartphone owners ways to moderate tech use with tools to help them monitor how much time they spend online, turn off access to certain sites, and reduce digital distraction — tools very similar to what Apple and Google recently announced. I started writing about this burgeoning trend, in what I called “attention retention” devices, back in early 2015 and today there are more digital wellness products than ever. 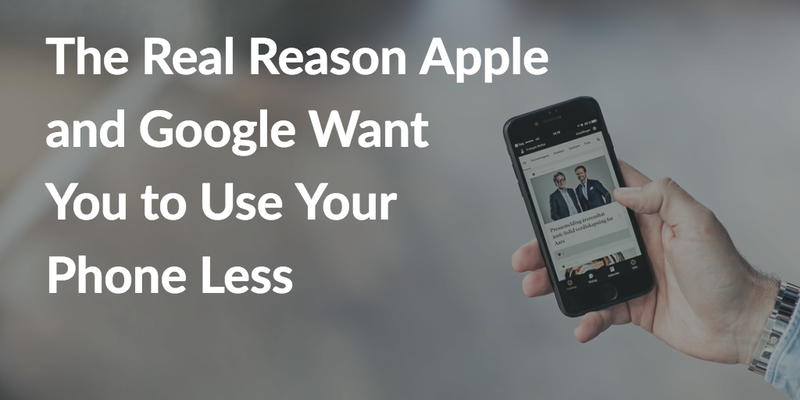 As they often do with successful apps built on their platforms, Apple and Google took note of what consumers wanted and decided to incorporate these features as standard — just as car makers did with seat belts in the 1950s. They also went beyond what app makers can do by adding features only the operating system makers can offer, like batch notifications to reduce the frequency of intraday interruptions and the ability to put the phone in “shush” mode by flipping it over. Originally published at www.nirandfar.com on June 4, 2018.